Milwaukee’s nineteenth-century brick-makers fired the local red lacustrine clay, which contains a high content of calcium and magnesium, to produce distinctive, soft golden-yellow bricks. “The Cream City” nickname that attached to Milwaukee in the nineteenth and early-twentieth century suggests the dominance of this creamy-yellow colored brick during the city’s first seven decades. As early as 1846, the year the city was incorporated, a journalist from New York referred to the brick as one of Milwaukee’s “remarkable features.” Almost forty years later another visitor’s description emphasized the material that gave the built environment “a peculiar light and cheerful aspect.” In addition to its prominence in local construction, Milwaukee’s brick became a desired building material throughout the region and beyond with orders coming in from Chicago and cities as far away as Albany, New York. Although the necessary clay deposits can be found throughout Milwaukee County, the Menomonee River Valley held the most easily worked supply and was the site of the Burnham Brickyard, the largest and longest existing manufacturer. The Wright’s City Directory of 1892 lists twelve brickyards in Milwaukee. By the first decade of the twentieth century, however, competition from national and larger regional brick-making companies replaced the area’s distinctive bricks with harder, less-expensive, and standardized red bricks—and manufacture of cream city brick ended in the 1920s. These local bricks produced city monuments that survive today such as St. Mary’s Catholic Church (1846), the National Soldiers Home (main building; 1867), St. Stanislaus (1873), and Milwaukee Turner Hall (1882), as well as many substantial residential properties. ^ Paul J. Jakubovich, As Good as New: A Guide to Rehabilitating the Exterior of Your Old Milwaukee Home (Milwaukee: City of Milwaukee, 1993), 73. ^ H. Russell Zimmerman, “Milwaukee’s Cream City Brick,” Historical Messenger of the Milwaukee County Historical Society 26, no. 1 (March 1970): 2. ^ Zimmerman, “Milwaukee Cream City Brick,” 2. ^ Zimmerman, “Milwaukee Cream City Brick,” 8-9. ^ Zimmerman, “Milwaukee Cream City Brick,” 9, and Jakubovich, As Good as New, 73. ^ Wright’s Business Directory of Milwaukee, 1892 (Milwaukee: A. G. Wright, 1892). ^ Zimmerman, “Milwaukee Cream City Brick,” 12. Jakubovich, Paul J. 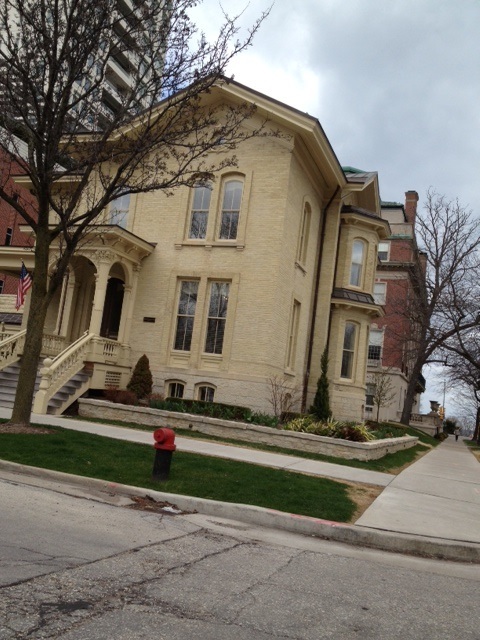 As Good as New: A Guide to Rehabilitating the Exterior of Your Old Milwaukee Home. Milwaukee: City of Milwaukee, 1993. Stern, Andrew Charles. “Cream City: The Brick That Made Milwaukee Famous.” MHP thesis, University of Georgia, 2015. Zimmerman, H. Russell “Milwaukee’s Cream City Brick,” Historical Messenger of the Milwaukee County Historical Society 26, no. 1 (March 1970): 2-13.